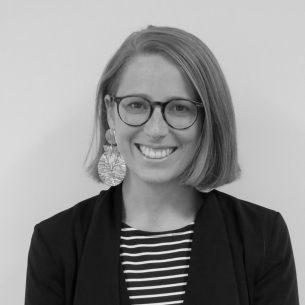 Susannah joined SVA in February 2016 as a member of the Bright Spots Schools Connection team who work to support school leaders by assisting with the implementation and development of tailored school projects. She works most closely with the Powerhouse and STEM Learning Hub schools who are demonstrating educational best-practice in disadvantaged communities. Before joining SVA, Susannah spent a number of years teaching and working with young people in a school contexts, particularly in sporting and outdoor recreational settings. She is passionate about the holistic development of students as learners and individuals, supporting quality teaching practice and equity in education. Through her involvement in The Reach Foundation, she has gained an understanding of the wide range of issues facing young people and the importance of considering the student’s voice when planning for learning. Susannah completed a Master Degree in Teaching in 2012 which led her to a Master of Education Policy (International) at the University of Melbourne where she focused on the selection and induction of graduate teachers in a best-practice, global context. Launching science experiments into space is just one of the exciting possibilities the SVA Bright Spots Schools Connection is opening up for primary school students from disadvantaged communities. SVA Project Officer, Education, Susannah Schoeffel explains. The 14 schools representing The Connection’s innovative new STEM program are already shaping the course of STEM education in schools serving challenged communities. As SVA and Samsung prepare to grow this potential, we spoke with one of our dynamic principals to hear how her school is integrating STEM in authentic ways. Bringing together diverse perspectives on the topic of partnerships, the 15th Thought Leadership Gathering (TLG) gave participants a wealth of actionable insights to explore in their own contexts. Here we talk to three attendees to find out which aspects of the TLG delivered the most value for them. Growing interest in the work occurring in South Australian schools provided us with the opportunity to convene the eleventh Thought Leadership Gathering in Adelaide.